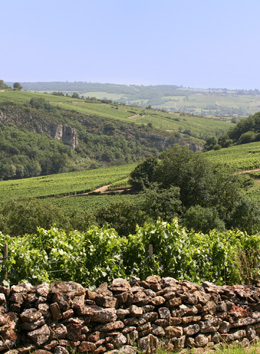 The Climats and lieux-dits give Bourgogne wines their unique identity. Their names bear witness to the region’s rich history. Their origins lie in the environment, local heritage, savoir-faire (know-how) and human history. 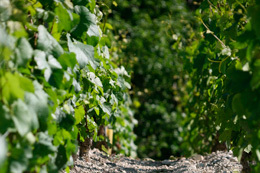 The Climats and lieux-dits are the ultimate expression of the notion of terroir. They guarantee the unique characteristics of each wine and offer an unrivaled taste experience. A clos is a plot of vines traditionally surrounded with dry-stone walls. Constructed as far back as the Middle Ages, these walls were destined to protect the vines from the herds of animals which used to pass freely through the villages. Some clos are among the most reputed Climats such as Clos de Tart, Clos de Bèze, and Clos des Lambrays. Climats are precisely delineated plots of land that enjoy specific geological and climatic conditions. When combined with human effort and translated through the two great Bourgogne varietals of Pinot Noir for reds and Chardonnay for whites, they give rise to an exceptional range of appellations that are classified according to quality and which enjoy international renown. The Climats confer their own unique organoleptic qualities onto the wines of Bourgogne, such as their appearance, aromas, flavors and texture. Some Climats were first referenced as far back as the 7th century, such as Clos de Bèze in Gevrey. For centuries, the reputation of Bourgogne wines was driven by the monks of Cîteaux, and then by the Dukes of Bourgogne. Some wines, such as Clos Vougeot and Montrachet, which bore the name of the Climat where they were grown, acquired a reputation that extended beyond French borders. In 1935, the National Institute for Origins and Quality (INAO), made official the usage of the word “Climat” and began using it in legal texts applying to all Bourgogne appellations, whatever their level of hierarchy. The Climats are a sign of excellence and on 4 July 2015, the Climats were included on the UNESCO World Heritage List. Lieux-dits are also plots recognized for their own topographic or historical specificities. Their precise geographical location is not registered by the INAO. A certain number of producers choose to feature the name of their lieu-dit on their labels, such as Pouilly-Fuissé, Le Clos Reyssié.